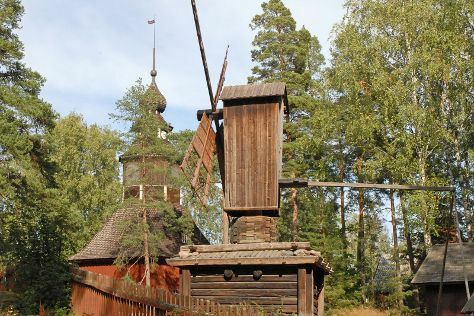 Get some cultural insight at Seurasaari Island and Open-Air Museum and Kansallisgalleria. Escape the urban bustle at Bellevue Beach and Hiidenvuori. Explore the numerous day-trip ideas around Helsinki: Kotka (Linden Esplanade, Santalahti Nature Trail, & more), Teijo national park (in Pernio) and Pyhtaa Church of Saint Henry (in Pyhtaa). Spend the 30th (Tue) exploring nature at Ekenas Archipelago National Park. Spend the 5th (Sun) exploring nature at Valkmusa National Park. There's lots more to do: look for all kinds of wild species at Arboretum Mustila, go for a walk through Visavuori, test your team's savvy at popular escape rooms, and take a stroll through Ullanlinna. For traveler tips, where to stay, and tourist information, go to the Helsinki trip itinerary tool . If you are flying in from South Korea, the closest major airport is Helsinki Vantaa Airport. In April, plan for daily highs up to 9°C, and evening lows to 0°C. Wrap up your sightseeing on the 7th (Tue) early enough to travel back home.